Adam Scott says he will be leaving the pin ALL YEAR... even on a six-footer to win The Masters! Under the new Rules of Golf that came into force from 1 January 2019, players are now allowed to leave the flagstick in while on the greens - something Bryson DeChambeau has been a strong advocate of in recent weeks. "As you know, I'm not a person who cares how things look," said Scott. "I was a 30-year old man putting with a broomstick." 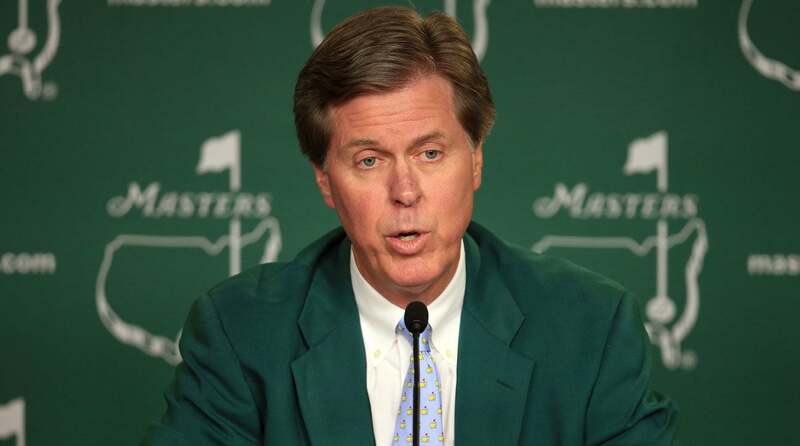 Addressing the possibility of Augusta National going against the Rules of Golf during Masters week, Augusta National chairman Fred Ridley didn't say no to the possibility of following the USGA and R&A's steer on the new rules permitting flagsticks in while putting. "We will, as we always do, collaborate with the governing bodies," said Ridley. "We will talk about those local rules and conditions that will be implemented. "We think it’s important that there be some consistency in top championship golf, and so you should expect that the Masters Tournament, from a rules perspective, will look very much, if not the same, as what you’re seeing in the major championships and the professional tours." It will certainly be interesting to see how many players change their mind on keeping the pin in the hole when they're faced with a fast downhiller from the back of the par-5 15th.